JUST ANNOUNCED: Local family offers up to $10,000 in matching funds for all NEW donations! These words are as true in 2016 as they were 233 years ago in 1783 when Rousseau wrote about education. To that end, we at Southold Schools have embarked on an ambitious goal to create a “Magical Playscape,” designed to stimulate imaginative and healthy play for our children, students of the twenty-first century. Unlike an overemphasis on standardized testing, this is a way to lay a strong foundation for the skills and dispositions that will serve our students and communities well, now and in the future. 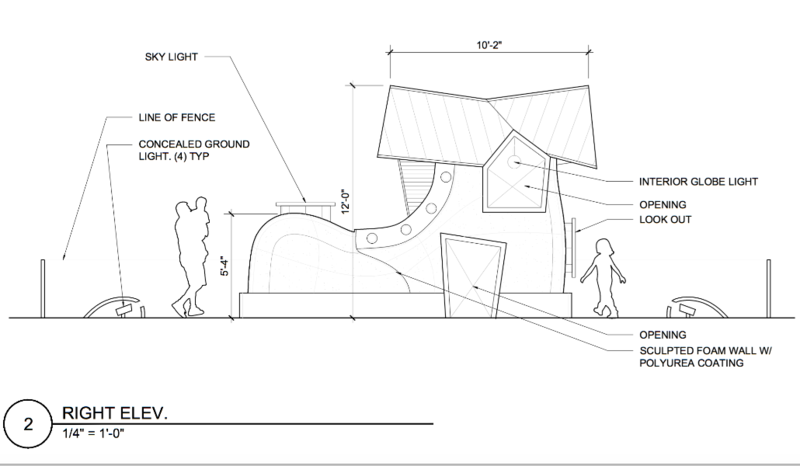 We invite you to view the accompanying video that paints a portrait of our playscape with a plan to add a one of a kind design element—a giant 12-foot tall, larger than life Mother Goose Shoe play structure. With this gofundme campaign we seek not only to build this play structure, but also to spread the message worldwide about the importance of play in the human development of all children. As you will see, our playground is a place to run, sing, dance, perform skits in an outdoor stone amphitheater, and dig in sandboxes. It also includes a 6,000 square foot garden, nurtured by our students, that grows hundreds of pounds of fresh, healthy produce each and every year with an endless amount of learning opportunities. With the addition of the Mother Goose Shoe, students will have an inspirational place to read, create, imagine and dream alongside a magical fairy-tale structure. It is our goal to restore play as the centerpiece of childhood learning. We hope you will join us. Anonymous donor willing to match all NEW donations up to $10,000. Now, even small donations will have a big impact. Please help us meet our goal. Mother Goose and her rhymes were most children’s peek into the world of reading and imaginative play. A physical representation of “The little old woman who lived in a shoe” is alive and well in 2018 in Southold. May our children continue to follow her steps to that world filled with reading, not just for knowledge, but for relaxation and renewal. They need her now more than ever. We live across the street and it is wonderful to hear the children singing & laughing and to know that they are outside most days.